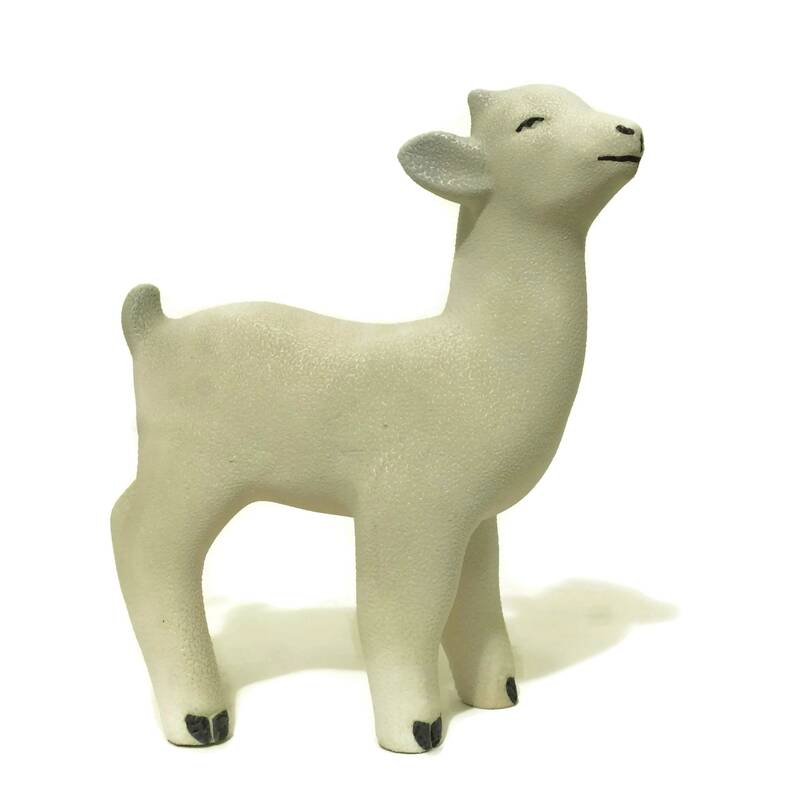 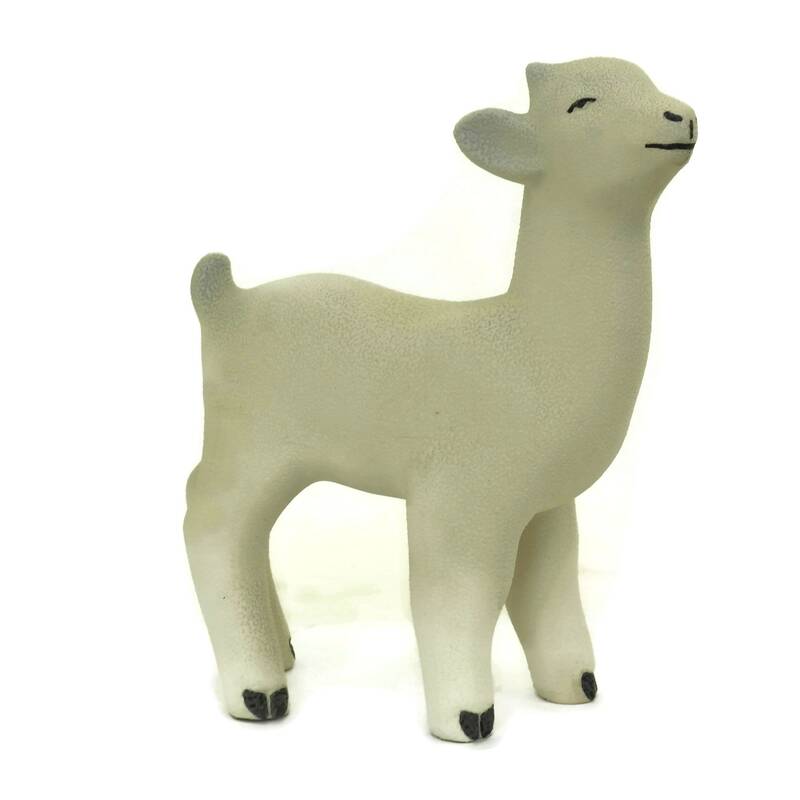 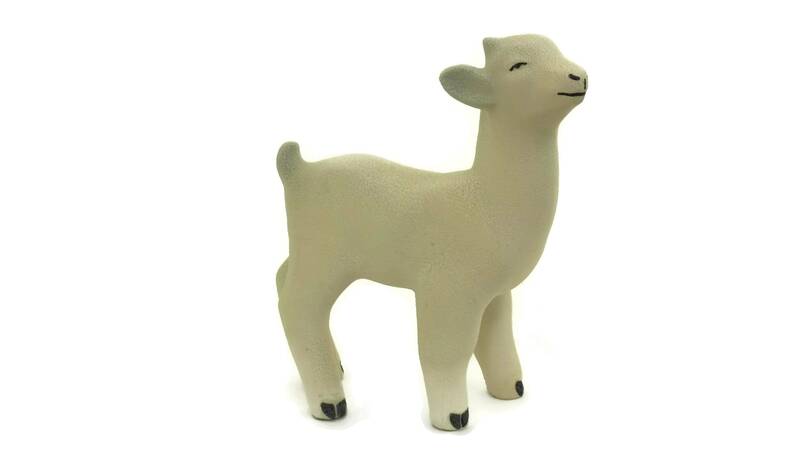 An adorable French ceramic little lamb figurine dating from the mid century. 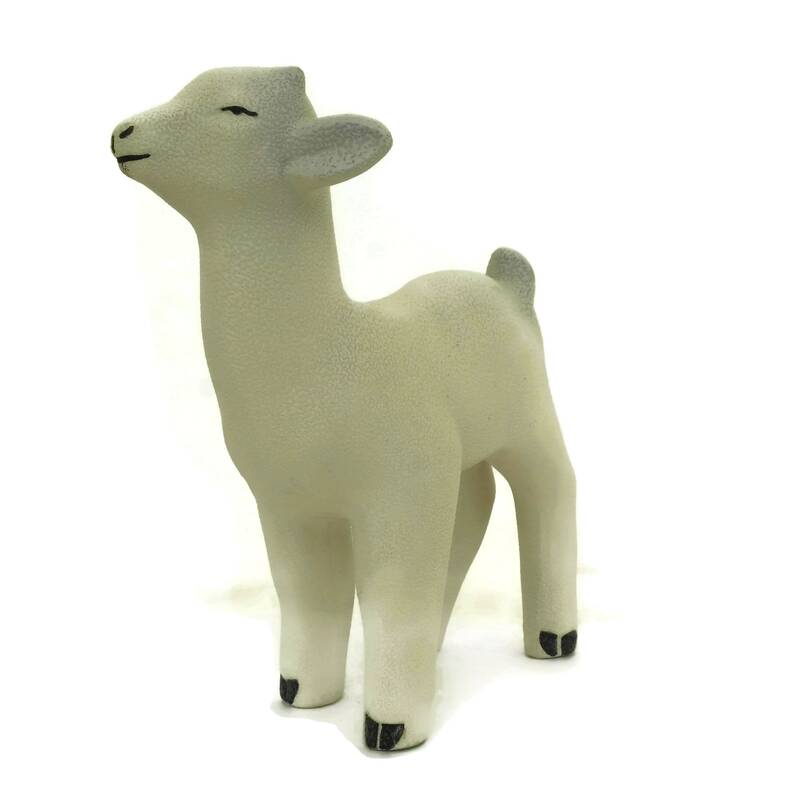 It is the perfect accent for a farm animal themed baby room or nursery decor. 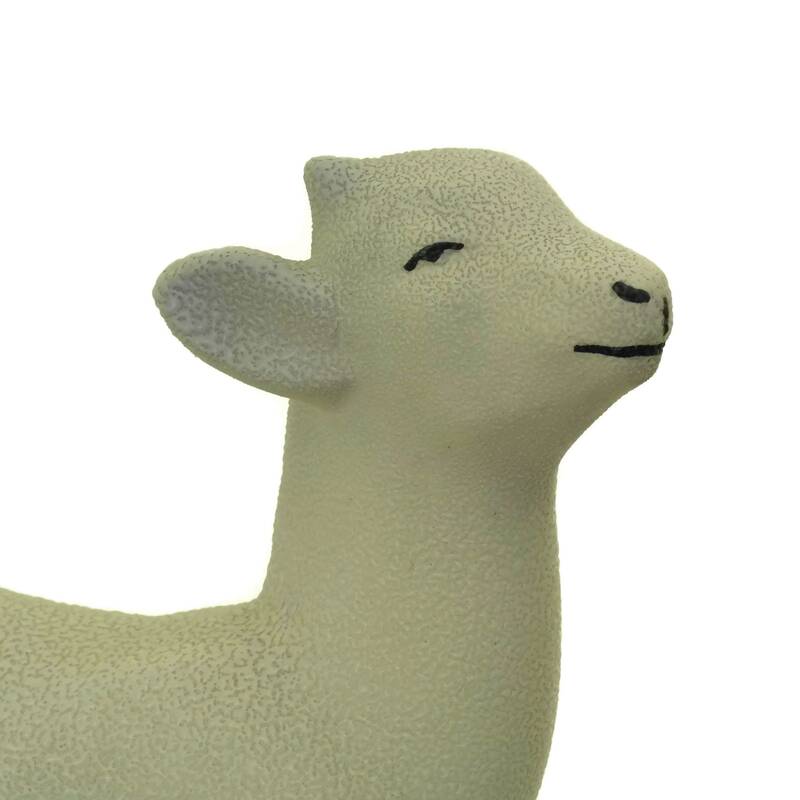 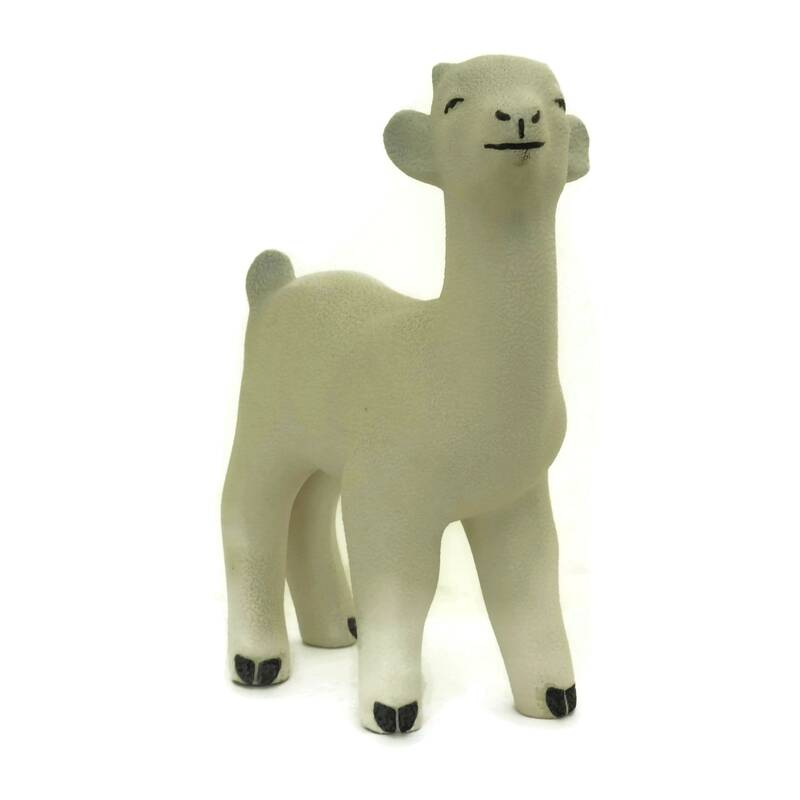 The lamb has been created with an elegant form and features a charming and serene expression. 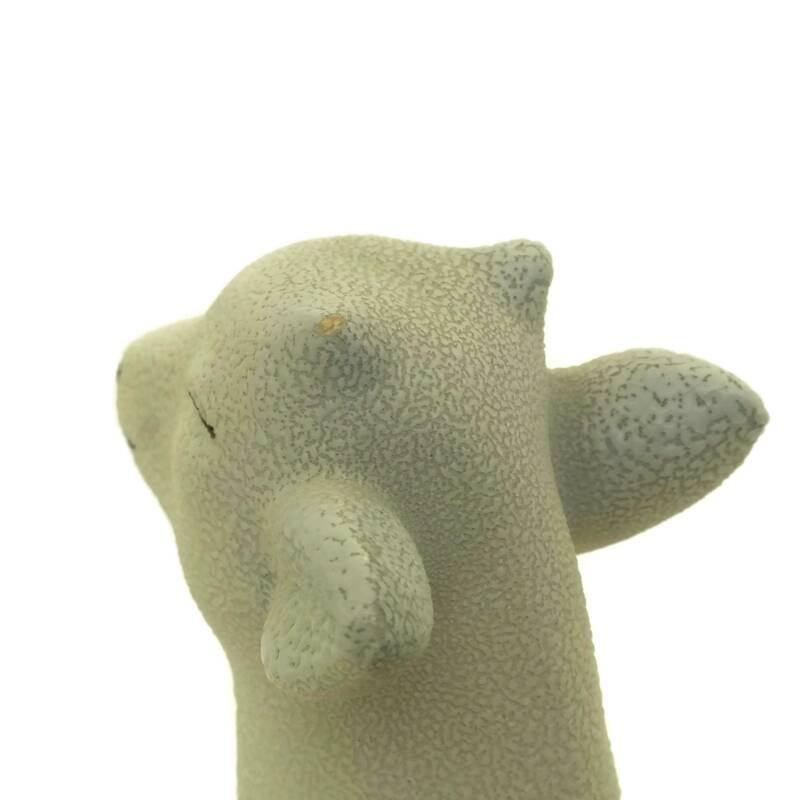 It has a textured glaze to the surface to recreate the effect of soft lamb's fleece. 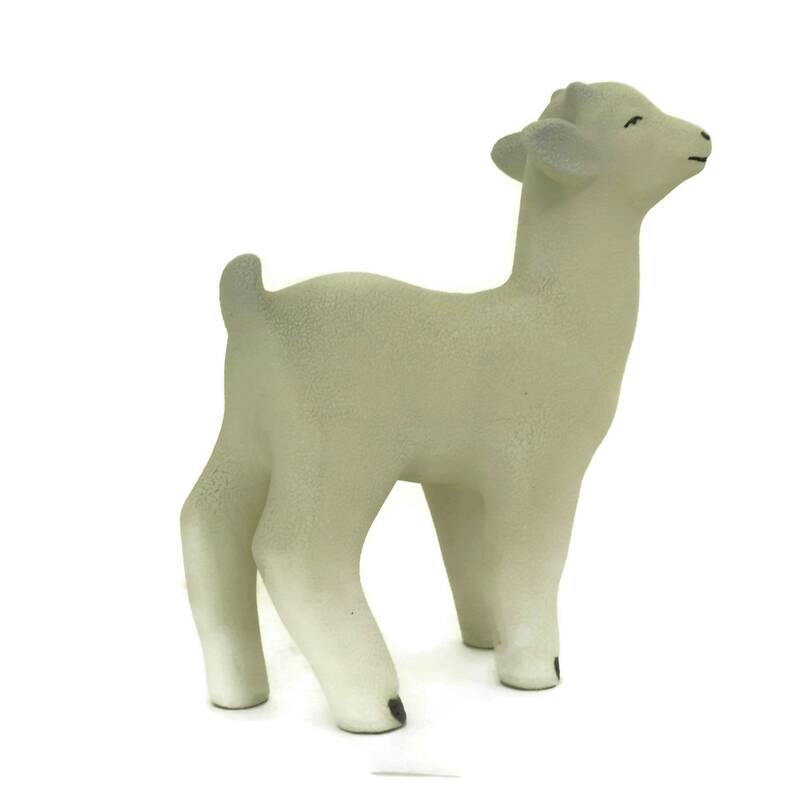 The vintage lamb figurine has no visible maker's marks or stamps. 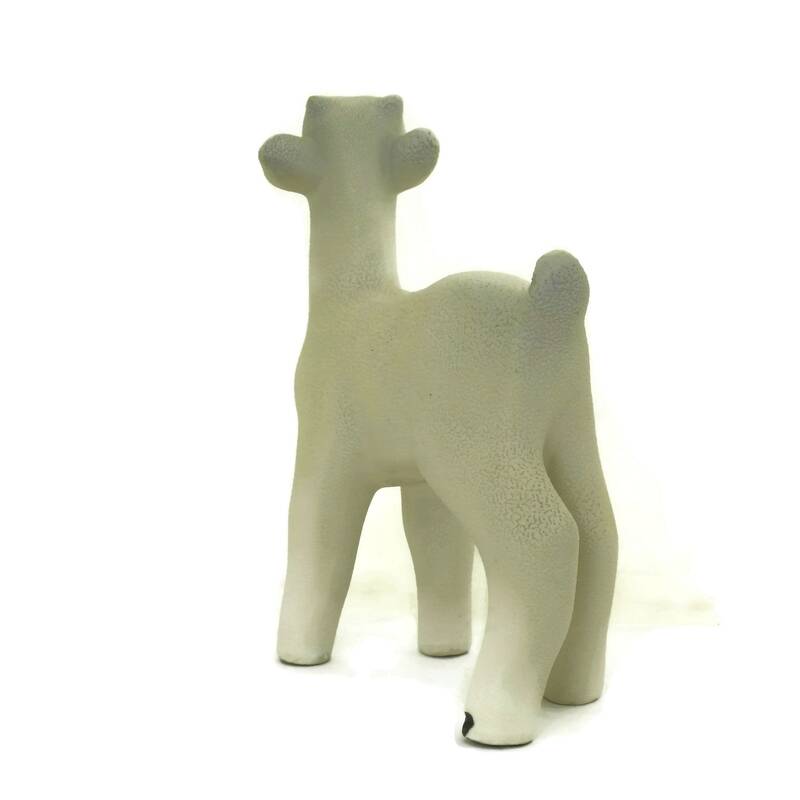 (25 cm x 23 cm). 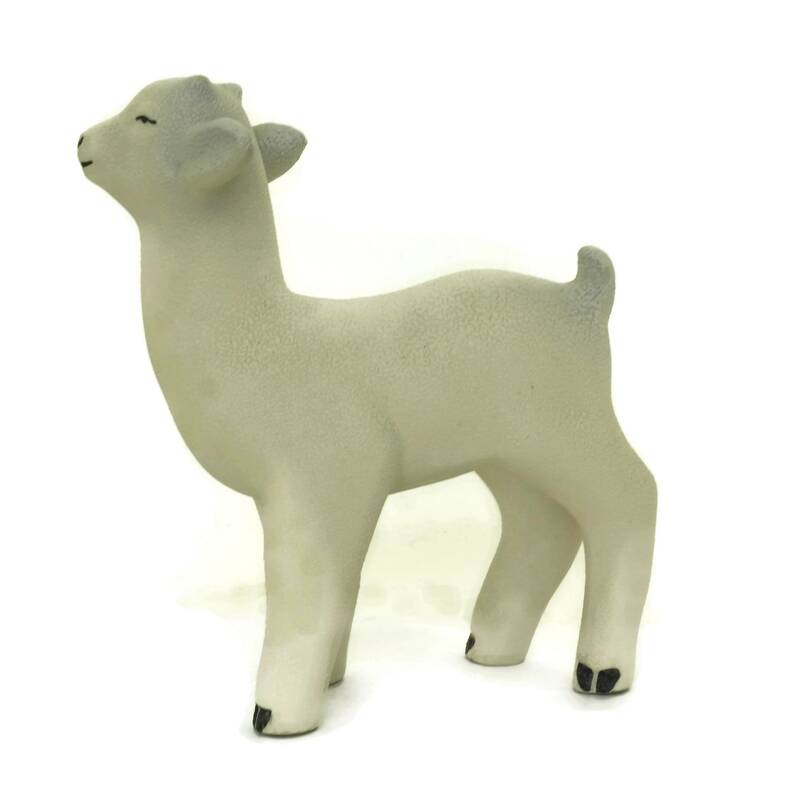 The little lamb figurine is in very good vintage condition with a tiny flake to the glaze on one of its horns.